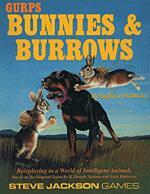 GURPS Bunnies & Burrows is a new edition of the classic game originally published in 1976. 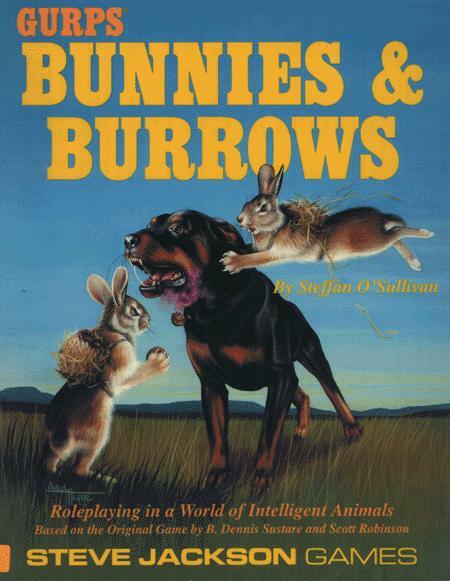 Completely revised, expanded and converted to GURPS, it presents a world in which player characters are rabbits . . . faced with a land full of monstrous, hungry foes, with humans worst of all! GURPS B & B is a game of wits, rich in roleplaying possibilities. A rabbit can't bully his way through the world – not usually, anyway! Characters in this game must be clever to survive.